Cayley Hislip, 12 years old and a 7th grader, has had diabetes since she was four years old. Her daily diabetic routine—which may seem imposing with blood sugar checks, counting carbs, either injecting insulin or wearing a pump, and experiencing the effects of low or high blood sugars—is simply her normal routine, meshing into life. But, eight years ago when she was diagnosed, it was overwhelming, especially for her parents, Chris and Karen Hislip. Right away, Chris and Karen decided that they weren’t going to let diabetes stop their daughter from being a kid. Cayley is active in sports and goes to sleepovers and birthday parties. 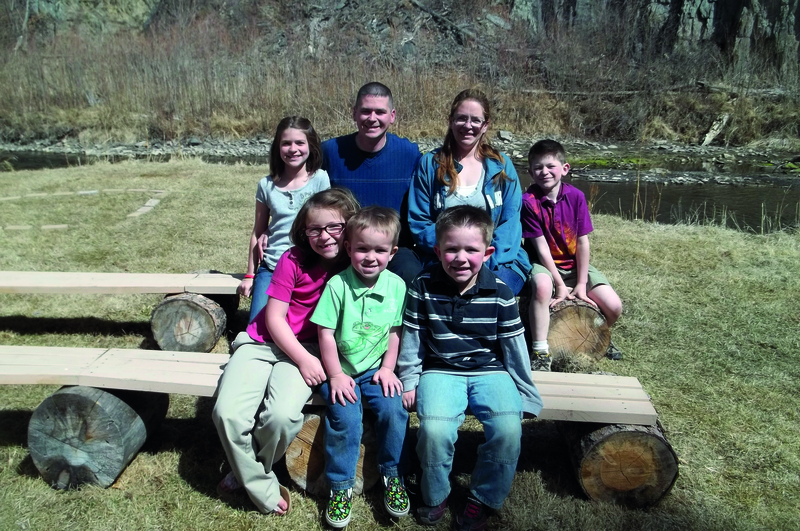 As parents, they make a great team, offering each other support, especially since Cayley has four younger siblings, none who are diabetic, but with five kids in the house it keeps the Hislips busy. They also developed roles. Karen helps Cayley manage her day-to-day needs, using a cellphone to communicate with her daughter, which has become an important tool in helping Cayley become independent, but allows her to talk with Mom at any time. Chris—besides being the parent Cayley picks to insert her infusion sets for her pump, “He does it better than Mom,” Cayley says, giving her Mom a grin—is Cayley’s advocate, especially within the school system. The Hislips found that teachers and staff at Cayley’s elementary school were great to work with. Chris always kept lines of communication open and they had a 504 Plan to spell out in detail what protocols the school was required to follow to manage Cayley’s diabetes. “A 504 Plan is not for when things are going well. It’s for when things are NOT going well. You have to have your child’s needs spelled out in writing,” Chris explains. Middle school, they found, was not as accommodating. There were issues revolving around missing school for diabetic care, needing her blood sugar monitor and snacks during testing, and Cayley being allowed to carry her cellphone with her. But, Chris kept fighting for Cayley’s needs until his daughter was able take care of her diabetes the way she needed to. Cayley’s siblings also support their sister. “They will put infusion sets on, just like I do. And sometimes they help get snacks for me,” Cayley says. The Hislips know that diabetes is difficult, but they also know from experience that it’s possible to still let your child have a great, normal childhood.